My 12th century Anglo-Normans vs Paul’s early 13th century Germans. We are gearing up for the club to run a campaign, and as usual we will be computerising everything to remove the paperwork! My WAB Norman army can be broken down to provide 3-4 legal retinues ( ie late 11th/12th century Bretons, Normans, Anglo-Normans or Franks) and some of the guys at the club are raising forces. 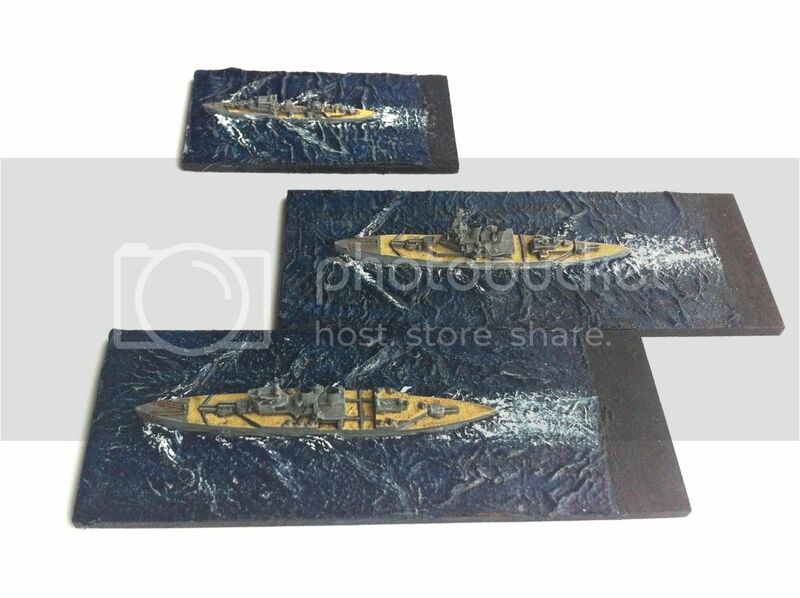 The Royal Navy is getting ready to smash the Kriegsmarine off Norway in 1940 (can you tell my bias?) also. This will be a game between HMS Renown, HMS Hermione and some escorting destroyers trying to force their way past some escorting German Cruisers and Destroyers to get to the troop convoys they are covering – the challenge will be doing this within a time limit. I painted HMS Repulse at the same time as the others, why not eh?